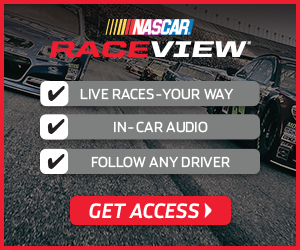 While it is unlikely that you will ever agree with your NASCAR buddies on a definitive list of the best of the best, there are a few NASCAR drivers that rightfully deserve consideration as the greatest to ever navigate the oval. 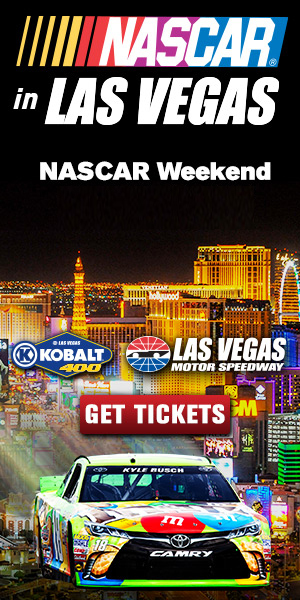 Here are our selections for the top 5 NASCAR drivers of all time. Some of you will want him placed higher on this list, and you could certainly make a strong case for moving Jeff Gordon up. One of the most polarizing drivers in NASCAR history, Gordon competed in 23 straight NASCAR seasons from 1993-2015 for Hendrick Motorsports in the No. 24 Chevrolet. Gordon captured the Winston Cup four times: 1995, 1997, 1998, and 2001. The Vallejo, California native was also named the 1993 Winston Cup Series Rookie of the Year and the 1991 Busch Series Rookie of the Year. 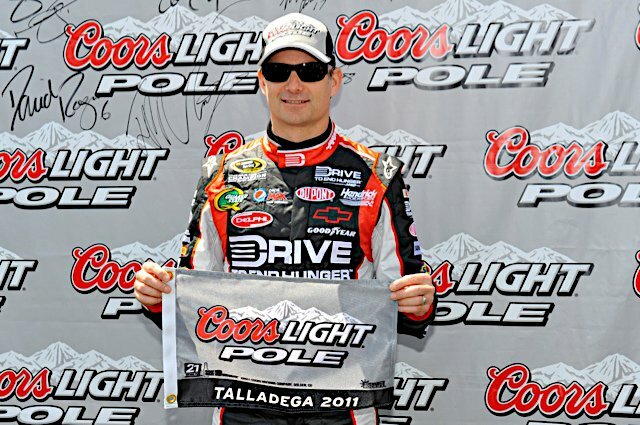 Jeff Gordon posing for a photo op at Talladega in 2011. He would go on to finish 3rd in a very tight race. With 93 wins from 81 poles in the NASCAR Sprint Cup Series, Gordon was a consistent threat on the track. He finished in the top ten of 476 races and remains a fierce competitor even though his 2016 appearances were limited as Gordon eases into retirement. Jimmie Johnson is a six-time Sprint Cup Series champion, winning the title consecutively from 2006-2010 and again in 2013. Johnson notched his first win in the 2002 NAPA Auto Parts 500 and his most recent victory came in the 2016 Bank of America 500. To date, Johnson has won 78 events from 35 poles and placed in the top ten 328 times. Jimmie Johnson’s first racing contests were on motorcycles at the tender age of four. He later competed in off-road and desert racing events before making the move to NASCAR. In 2002, Johnson made the switch to full-time participation in the Winston Cup Series and his rise to the top of the sport was meteoric despite some struggles in his early seasons. The legendary streak began in 2006 with a win in the Daytona 500, signaling the success that would follow. 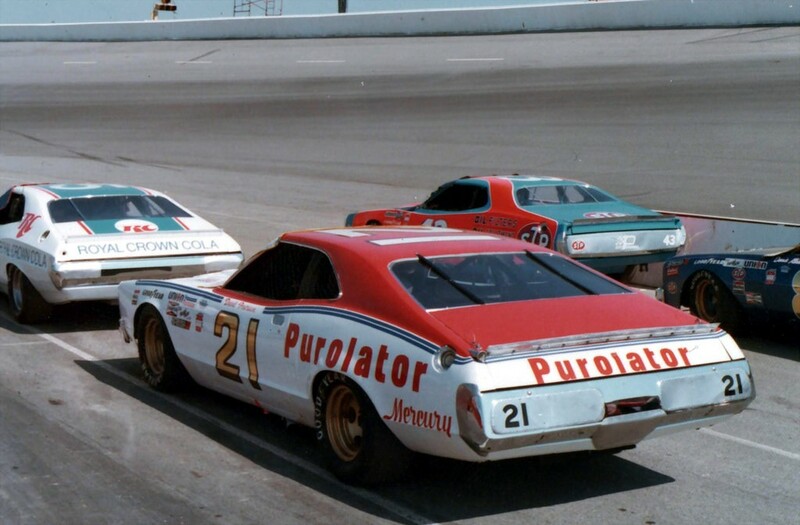 For many NASCAR fans, David Pearson has become something of a footnote in history because he had the unfortunate task of competing against the man who holds the number one position on this list. Hailing from Spartanburg, South Carolina, Pearson began his NASCAR career in 1960 and was named NASCAR’s Rookie of the Year. This Number 21 Mercury was one of the cars driver by Pearson over his fantastic racing career. Pearson captured the Grand National Series championship in 1966, 1968, and 1969. He won the Daytona 500 just once, in 1976, but also captured the NASCAR Triple Crown that same year. Over the course of his 27-year career, David Pearson won 105 races from 113 poles and finished in the top ten 366 times. Despite his success, Pearson is often overlooked in favor of drivers such as Richard Petty who garnered the lion’s share of media attention. Without question, the Intimidator will always be the greatest NASCAR driver of all time to many fans. A ruthless competitor with an affable personality off the track, Earnhardt paid the ultimate price for the sport he loved when he was killed in the February 2001 running of the Daytona 500. Although the tragedy affected millions of NASCAR fans on a personal level, most would agree that there could have been no more fitting exit for a man who gave so much to the sport. Earnhardt began his career in 1975, racing in the Winston Series Cup. His first win came in the 1979 Southeastern 500 at Bristol. Earnhardt would go on to win 76 events from 22 poles and finish in the top ten 428 times. It was in 1988 that Earnhardt would forever become associated with the No. 3 car with its trademark black paint design. He won the Winston Cup series an astonishing seven times from 1980-1994, forever cementing his claim to the best of all time. NASCAR drivers come and go, but Richard Petty remains the greatest of all time in the eyes of many fans. Known for his shades and cowboy hat, Richard followed in the steps of his father Lee and made his debut in the 1958 Jim Mideon 500 in Toronto. His first win came in a nondescript, untitled race in 1960, and the rest is history. 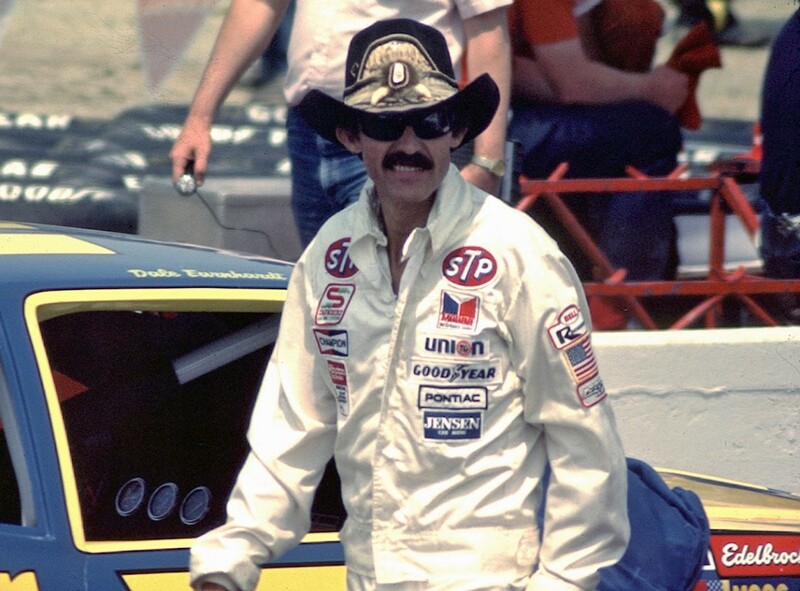 “The King” of NASCAR, Richard Petty, struts around the track in his iconic cowboy hat in this picture from 1984. Though now retired, he’s still very involved in the sport he loves. Petty won the Winston Cup Series title five times and the Daytona 500 seven times, earning him the nickname, “The King.” Over his 35-year career, Petty won 200 races from 123 poles and finished in the top ten 712 times. In retirement, Petty has become an elder statesman for the sport and regularly appears in television commercials. His popularity has not diminished since he finished his career in 1992.